DAVID LE/Staff photo. 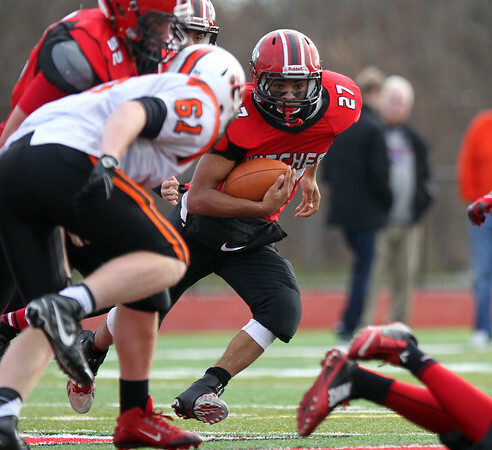 Salem senior captain Javier Robles (27) looks for running room against Beverly. 11/26/15.